Oil rig worker David Luc lives in the southwest community of Braeside and rents a basement suite for $450 a month (not including utilities). 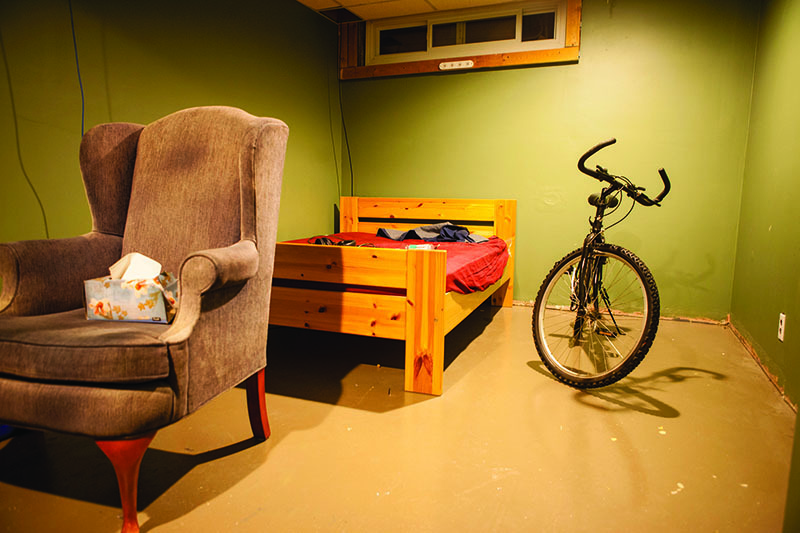 Luc, who asked not to be photographed, rents a room and shares the basement with another roommate but because of limited space stores his bike in his room during winter. Luc’s room is bare with nothing to really make it feel like home because he only considers this place a pit stop for a few months.